Business description - Ajooni Biotech is engaged in manufacturing, producing, processing and supplying of Cattle feed, Nutrients related to cattle feed and manufacturing & production of Animal health care suppliments. The company is registered with Department of Industries, Govt. of Punjab as Small Scale Industry (SSI) and also registered with Department of Dairy Development, Govt of Punjab. It has entered into an Agreement with Patanjali Gramudyog Nyas, Haridwar (PATANJALI) (a unit of Yog Guru Baba Ramdev) for manufacturing of Cattle feed and Distribution of Cattle feed and feed supplements in their brand of Patanjali with 100% buy back arrangement for supplies in the states of Punjab, Himachal Pradesh, some parts of Jammu & Kashmir, Haryana and Rajasthan. Ajooni Biotech also manufactures cattle feed & supplement under own brand name of “AUTUS ANIMAL HEALTHCARE”. For Marketing of its own brand in the market, it has a strong professional team which covers the area of Punjab, Haryana, Uttar Pradesh, Rajasthan and Jammu and Kashmir. Our product is well accepted in the market. It has a strong dealer & distribution network across these states. Our Factory is established at Gaib Di Pulli, Village Bullepur, Tehsil Khanna, Distt. Ludhiana measuring 13 kanal 2 Marla i.e. land. 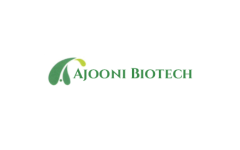 Ajooni Biotech IPO allotment status is now available on Cameo Corporate Services' website. Click on this link to get allotment status. Apply krna chahie ya nahi?